Many webmasters update plugins and make other small changes without putting their site in Maintenance Mode. If you are planning a major change, you can’t get away with that approach. The Under Construction / Maintenance Mode Plugin is a handy script that lets you display an under construction page to your visitors as you make changes. You will be able to use this plugin to launch new products, announce important events, and build buzz for future products. It has 5 mobile friendly themes. You can customize its color and background easily. Users have the option to upload their own logo. 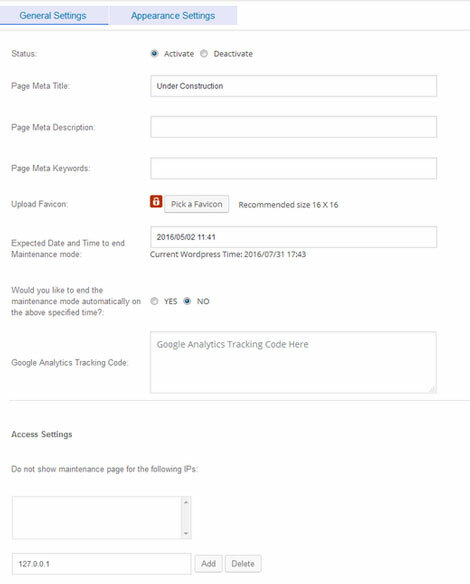 The plugin also has social media and Google Analytics integration. You should be able to use this plugin with any theme. It lets you preview changes before going live. It also lets you build a newsletter list and export contacts easily. This is a free script.